The options are limitless. Bask in the sun at one of the four pools, including one with a 214-foot twister slide. Get your heart rate up on the sports deck with both basketball and volleyball courts. Play some mini-golf on the 9-hole course! 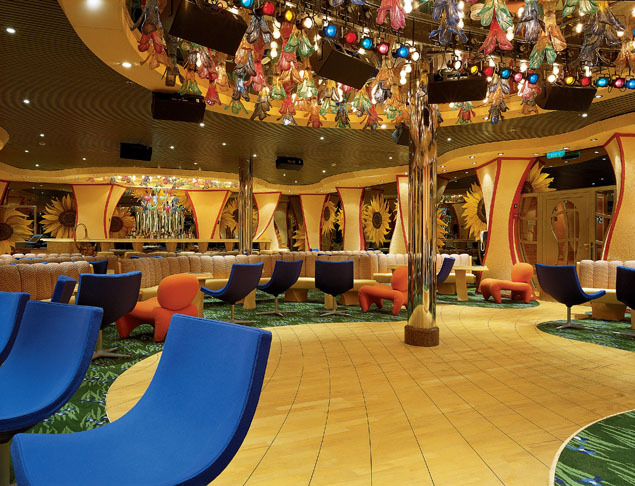 There's a jogging track, and a 15,000 square-foot fitness center with all the amenities you'd expect from Carnival! Conquest also has "Action Alley," a recreation center with a video game arcade! There's a teen coffee bar and dance club, and a 3,300 square-foot children's play center! Stroll down the Boulevard and check out the stores and boutiques, check your email in the internet café, or check out the Multimedia conference center! There's a game room and a card room too! 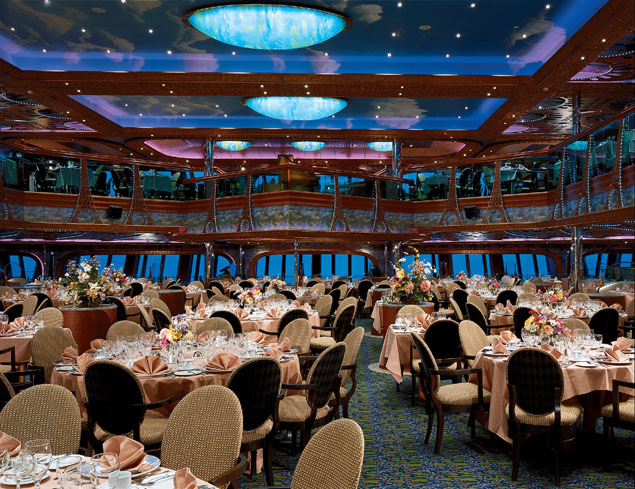 The formal dining rooms on Conquest offer an exquisite culinary experience including fresh lobster and a huge variety of wines, as well as great service! Fascination offers the Supper Club, which is a reservations-only, chic Manhattan-restaurant setting. Offering your favorite menu items from the steakhouse, the Supper Club guarantees every bite is a pleasure. For the more casual diner, there are midnight buffets, a 24-hour pizzeria and even European Cafés so that you can satisfy whatever craving you have! For the youngest members of your family, the kids menu offers all of their favorites, including pizza, spaghetti and meatballs, hamburgers, hotdogs, and much more! Once the sun goes down, your night begins! 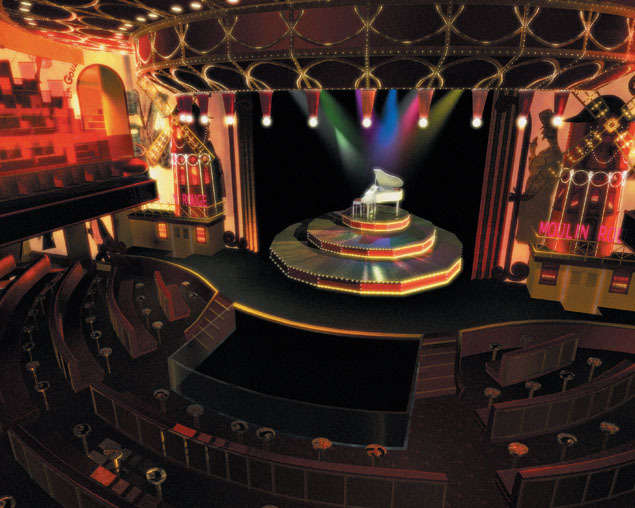 Start it off at the Toulouse-Lutrec Lounge and watch a dazzling performance! 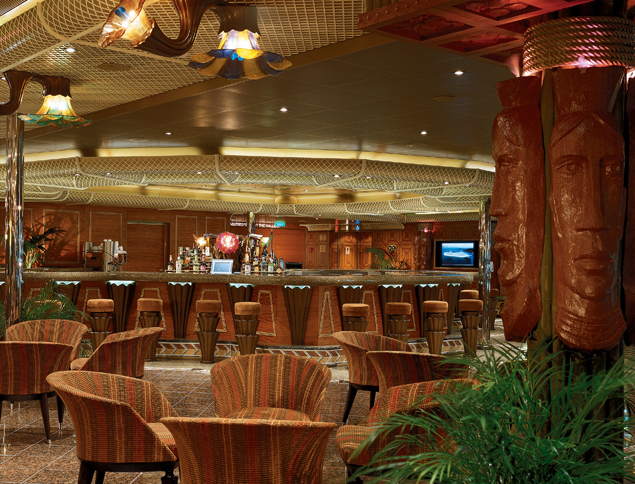 If you like live music, and want to sing along, head over to Conquest's Blues Piano Bar and grab a drink! 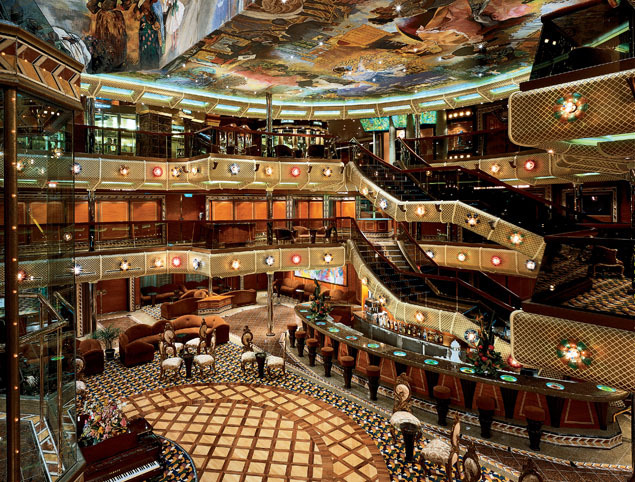 There are 22 uniquely themed bars and lounges on board, including a fabulous nightclub! No matter what your tastes are, there is something new and exciting to check out! Go dancing, go barhopping, or test your luck in the Tahiti Casino - the choice is yours! If you prefer a more relaxed pace, Conquest features a Presidential Wine Club, as well as the "V1" Digital Golf Coaching system!